In order to meet demand of local people and tourists, Taiwan (China) has to import a large amount of agricultural products and processed foods from other countries every year; these items are strengths of Vietnam. 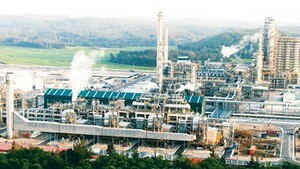 Economic experts said that Vietnam should promote export to make the most out of this potential market. According to the Ministry of Industry and Trade, Taiwan is a potential market with diverse tastes. At the same time, it plays an important role as a transit hub for various goods of Vietnam to the European, US and East Asian markets. Besides, consumption demand of overseas Vietnamese community living in Taiwan of around 300,000 people will also contribute to bilateral trade activities as well as spread the habit of consuming made-in-Vietnam goods in Taiwan. From 2009 to now, export goods structure of Vietnam to Taiwan has gradually shifted to a more positive direction. Proportion of exported materials, fuel, raw minerals has been reducing little by little whereas industrial processing products and agro-forestry-aquatic products have slowly become key export products. 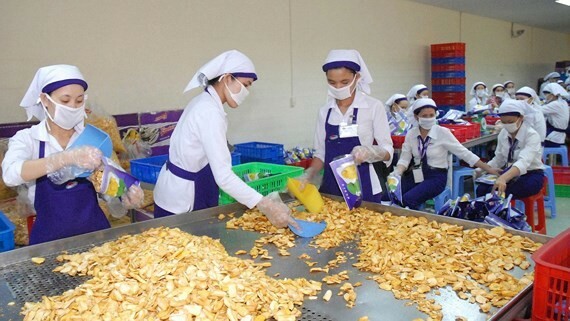 Mr. Tran Nhat Trung, general secretary of the Food and Foodstuff Association of Ho Chi Minh City, said that the Taiwan’s market still has room for Vietnamese goods, especially agro-forestry-aquatic products. The territory has high demand for importing goods and foodstuffs, not only to serve local people but also to meet the demand of tourists. Representative of the Taiwan External Trade Development Council also said that in order to create favorable conditions for Vietnamese enterprises to research and advertise their products in Taiwan, the territory has constantly held large-scale exhibitions, including Taipei International Food Show and Taipei International Food Processing & Bio/Pharm. Machinery Show. In order to exploit the potential of Taiwanese market effectively, Vietnamese firms should actively research the market, especially they have to raise awareness of management, improving product quality and competitiveness so as to meet demand of importers and increase export value. Experts also pointed out that it is not easy to enter Taiwanese market due to policies to maintain domestic market and trade with its traditional trade partners. In addition, Taiwan also applies strict standards and regulations on food safety and quarantine inspection on imported agro-foresty-aquatic products. These regulations were also changed or adjusted frequently, causing many difficulties for export farm products of Vietnam. Moreover, Taiwanese people usually buy goods from supermarkets and rarely stockpile foods. When Vietnamese firms export goods into Taiwan, advertising and providing information are very important as with increasing income, Taiwanese people tend to try new products. Taiwanese consumers seldom pay attention to the price of a product once it provides enough reliable information. Mr. Nguyen The Hung, deputy director of the Vietnam Chamber of Commerce and Industry Ho Chi Minh City Branch, said that when setting up trade relation with this market, Vietnamese firms should verify their partners carefully and have clear trading terms, especially for payment. Their products should be ensured about quality and have required relevant documents and certificates. In addition, firms should establish relations with importers to send their products into supermarkets. Goods need to be compacted and beautifully designed with full information and instructions for use.